I speak and write a lot about what I call “Integration Lifetimes,” and this is the most powerful meditation I have ever encountered for radical reintegration. I’ve personally got some major astrological aspects happening right now, in addition to the New Moon in Aries, the M-6 class Solar Flare and my grandmother’s transition yesterday … but wow … this was potent. I burst into tears with the first sentence and can still feel my heart cracking open even more than it already was. If you’re the type of person who gets goosebumps as confirmation of something’s truth, you might get full body sobs on this one. Fair warning not to try this one at the office — but, please, do try it if you feel so led. Readers and clients have recently asked me questions regarding what I call “integration lifetimes.” In a “regular” lifetime, people choose one or two things as their focus, attempting to resolve them so as to free themselves from specific karmic ties or continuing influence. Unlike regular lifetimes, “integration lifetimes” attempt to unite and utilize all previous incarnations — assembling them into something far beyond that which has come before. In essence, the whole is greater than the sum of its parts. Whereas regular lifetimes allow people to ignore “irrelevant” experiences, themes, relationships or gifts, integration lifetimes demand attention to and embracing of our greater being. For example, if a soul on a regular lifetime has major money and persecution issues to work through, but pre-incarnately decides to narrow this lifetime’s focus to resolving two particular relationships, then money and persecution problems will not affect the soul much during this lifetime — even though there remain significant issues in those areas. Instead, those two chosen relationships will dominate as life challenges. The absence of money or persecution issues does not mean these souls are totally evolved in those areas; it simply means they have not chosen to focus upon them this go-around. By contrast, souls on integration lifetimes can seem to attract challenges everywhere they turn, although initially they may have seemed to lead “charmed” lives. In early years, these souls tend to tap into lots of previously developed gifts, so outwardly they seemed to thrive. School and other pursuits may come amazingly easy. Indeed, peers or siblings often feel jealous that integration lifetime souls succeed in everything they do. Beneath the surface, though, lie feelings of inadequacy or persecution, a nagging sense of missing the mark, an unfulfilled life purpose, and general ennui. Integration lifetime souls have literally “been there, done that,” so the trappings of success — though massive — can seem unreal, taken for granted or ultimately dissatisfying. At some point, the contrast between the worldly successes and the soul’s bigger goal of embracing every being they have ever been, triggers crises to get the integration lifetime soul back on track. At this point, their outer lives can look disastrous — disability, “untreatable” health problems, poverty, public shame, devastating divorce, etc. — while their inner lives alternate between profound despair and a bizarre sense that everything is finally aligning in Divine and perfect order. As the dreaded Tower Card of the tarot suggests, destruction often precedes integration. Old paradigms fly out the window and crash into the sea. Life as we knew it ceases to exist. These sorts of lifetimes usually present tell-tale health challenges designed to break down traditional barriers, perceived limitations and over-reliance on 3D reality: things like brain injury, Lyme disease, Fibromyalgia, some manifestations of MS — anything that radically alters those things we held most certain. 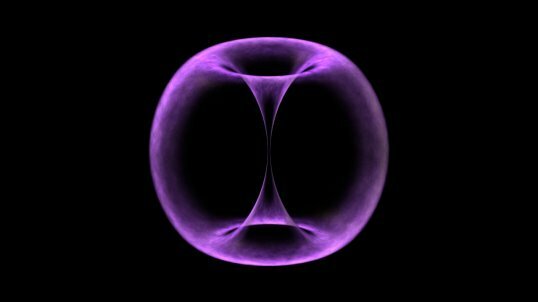 Earth herself has begun an integration path as she shifts dimensions, and millions of people incarnated right now have come here for integration lifetimes. Earth’s energy supports integration right now, because the process of embracing the full essence of who/what we are is another way to describe Ascension or Human Evolution. People wonder just what percentage of others have chosen integration lifetimes. If I had to guess, I would say that 11% of the population right now is living an integration lifetime, with perhaps 4-7% actually making the leap. That’s a guess, though, because most of the people with whom I interact as friends, students, readers and/or clients are on an integration lifetime. For those souls who incarnated recently, the multiple traumas seem to be arriving earlier. Older integration lifetime souls often experience a Tower Card tossing out of their old paradigms; today’s children on integration lifetimes simply refuse to accept outdated paradigms right from the start. That’s one reason we have so many kids needing alternative schooling and other support right now. I’ve had a run of parents requesting sessions for children debilitated by nightmares, autism and vision problems. The parents fear that their kids are having delayed development, when in reality, these children on integration lifetimes have actually jumped into their challenges feet first. They recognize the accelerated times we live in and refuse to participate in pleasant delays and detours. Through their in your face issues, these kids insist on their own intense integration while also pointing out exactly where the parents, teachers, society and siblings need healing. Children on integration lifetimes in the year 2012 came here with a big mission. They may seem backwards or delayed, but most of their anger and frustration stems from not being able to express their gifts in fully functional ways. Their souls are literally screaming for a freeing of the human race. How do you know if you are on an integration lifetime? If you’re reading this, then you likely are. Most people attracted to the idea of reincarnation have a nagging sense that society’s proven explanations and interpretations of Life tend to fall short. Synchronicities, recurring dreams, intense yet unlikely soul connections with others, medical mysteries and interest in things like astrology and patterns indicate at least a budding awareness of more than meets the eye. Since regular lifetimes don’t require attention to anything beyond the intended focus, regular lifetime folks rarely find themselves attracted to anything that could distract them from that focus. Nothing like dozens or hundreds of “irrelevant” lifetimes to distract from the one or two they wish to resolve! If you find yourself yearning to sense a bigger picture, a context that makes sense of ongoing patterns, or a metaphysical understanding, then you are likely experiencing the call of integration. What can you do to heed the call? Prayer, meditation, creative arts, and journaling all offer keys to hidden passageways within yourself. You can also try specialized meditations like The Blue Room to help you detach from and resolve persistent relationship challenges. I’m a big fan of the Archangels, especially Michael and Raphael. Michael has his fiery sword, so useful for cutting the ties that bind, and Raphael is the Archangel of Healing on all levels. If you feel a particular connection to other angels, faeries, devas, gods or goddesses, you can ask them to assist you in your growth and integration. Past life regression therapy can help through hypnosis or self-hypnosis if you find trusted methods that resonate with you. Additionally, soul/past life readings from a trusted intuitive can help you to connect the dots. The mind has a funny way of clinging to things we do not understand. Once they make sense, we can lay them to rest. Since reincarnation, parallel lifetimes and previous selves are difficult to prove, sometimes receiving corroboration from an uninvolved other gives us permission to trust our own inner knowing.